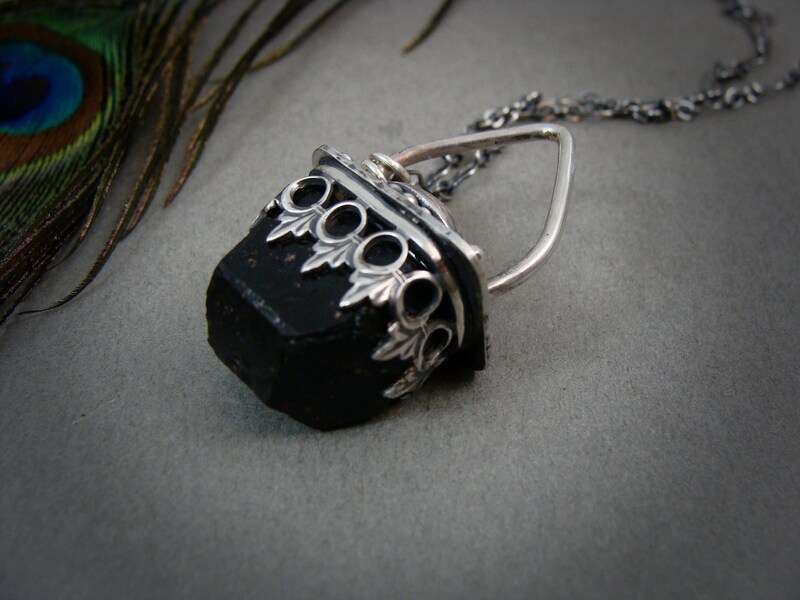 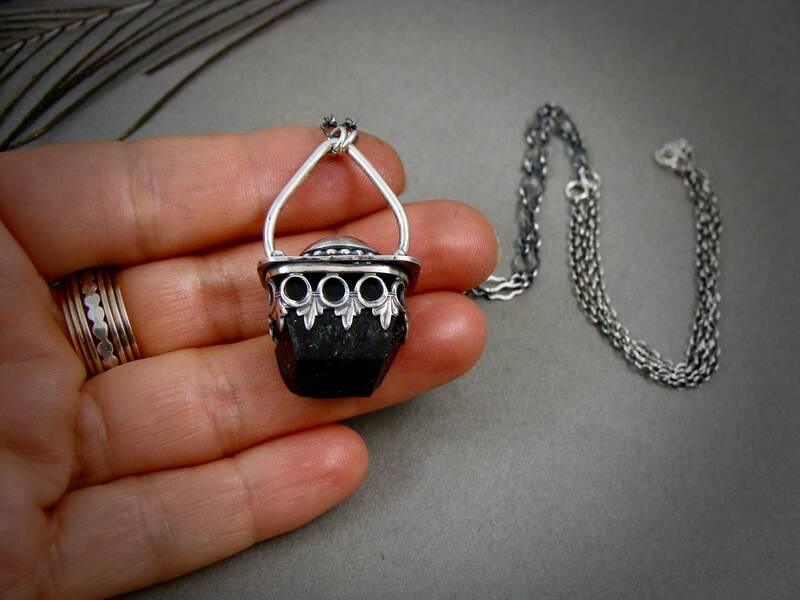 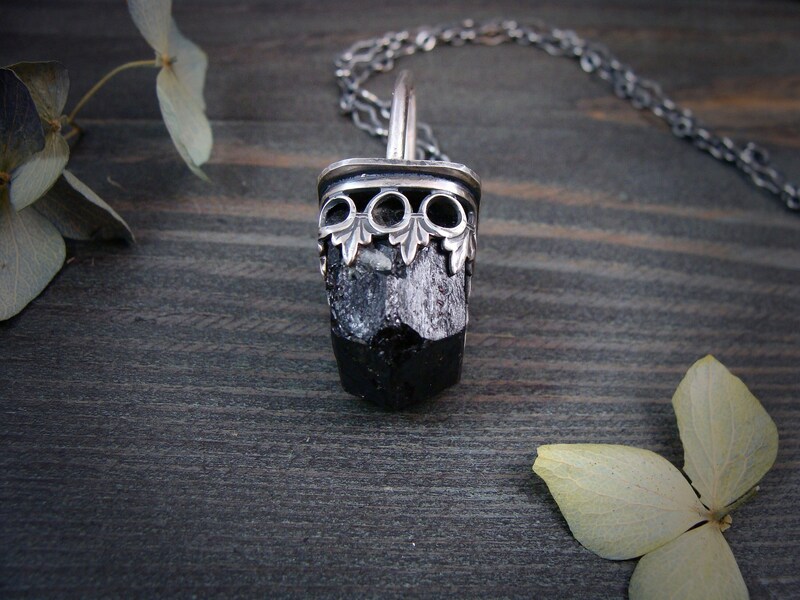 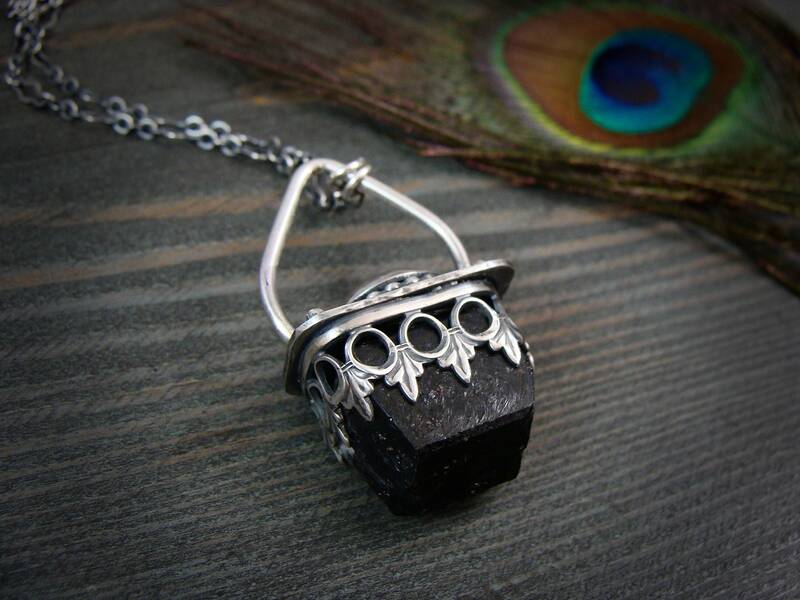 This chunk of raw black tourmaline dangles from a handmade, stylized sterling setting. 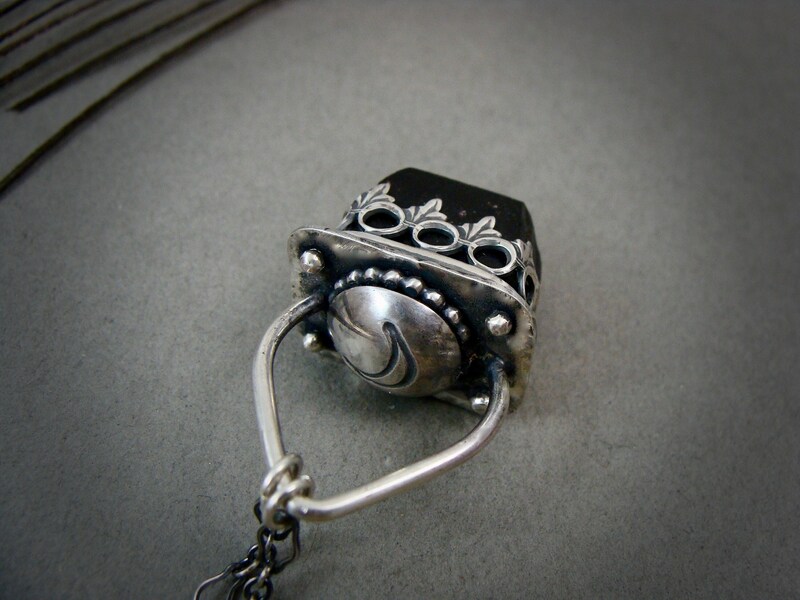 The pendant hangs from a pretty, feminine arch and has a waxing crescent moon stamped on top. 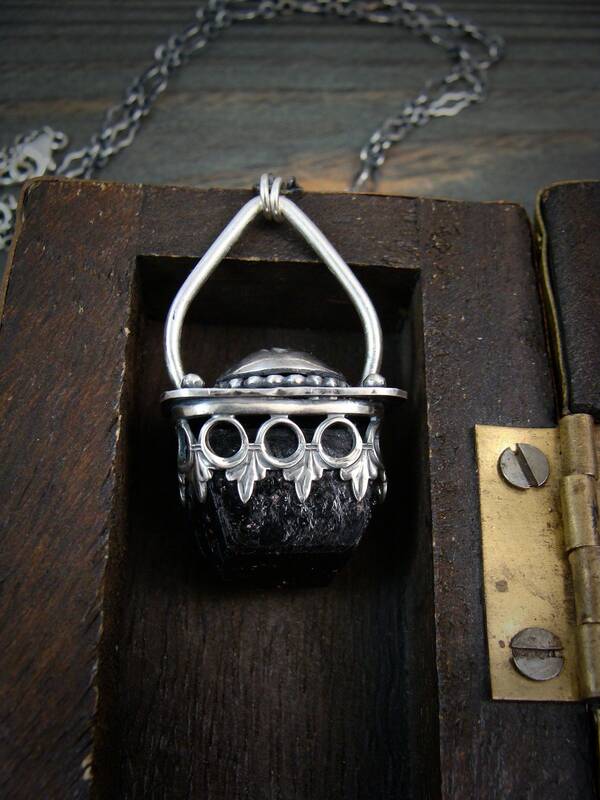 The silver has been given a dark patina to add drama and contrast the bright silver highlights. 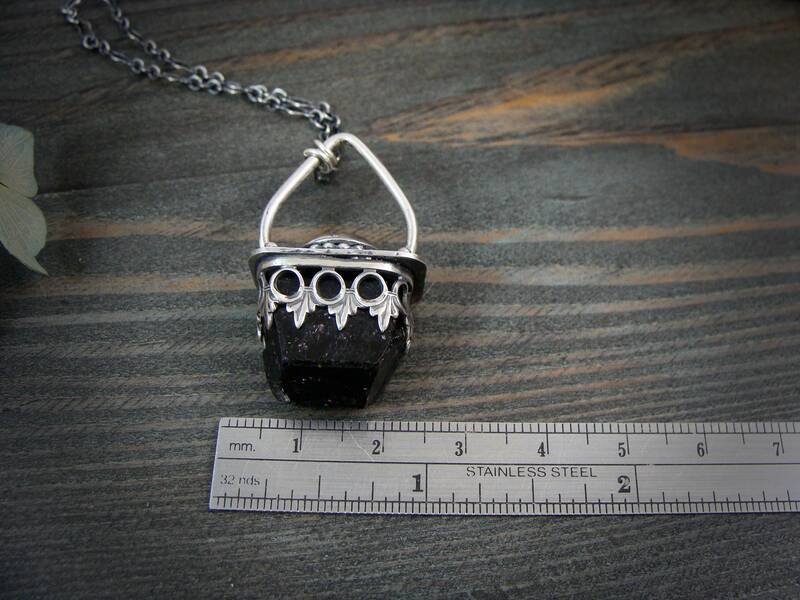 The pendant is on a sturdy decorative chain. 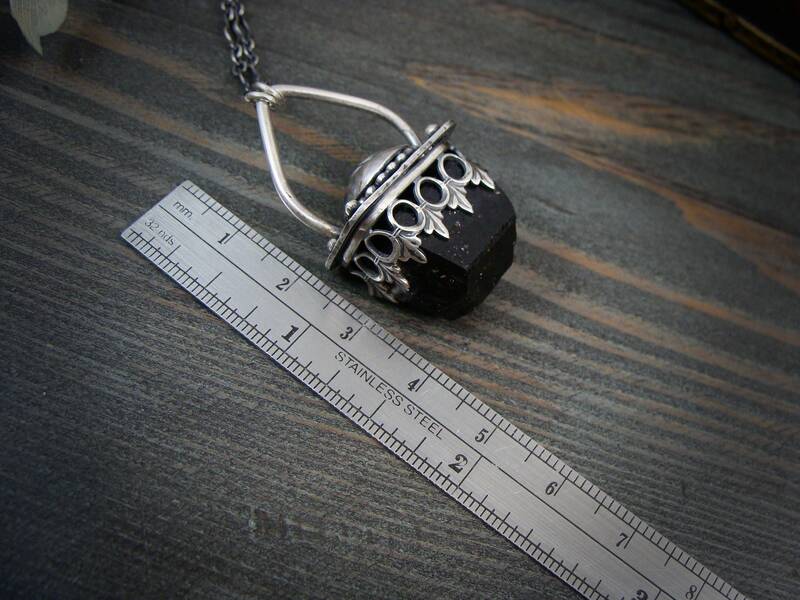 Pendant is 1 x 1 1/2" long with an easy lobster clasp. 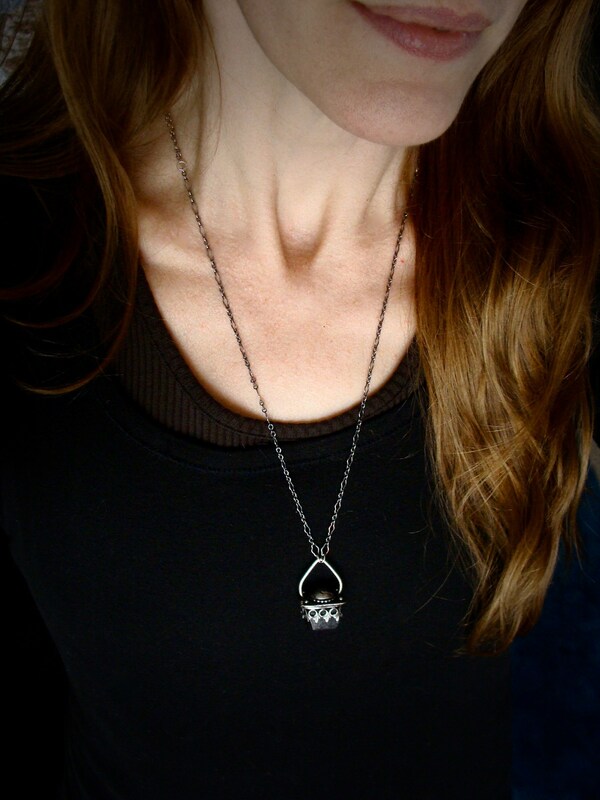 *modeled on a 24" chain.